This is a rectangular Kuhn’s Paints porcelain sign. This particular Kuhn’s Paints sign is yellow with black text. 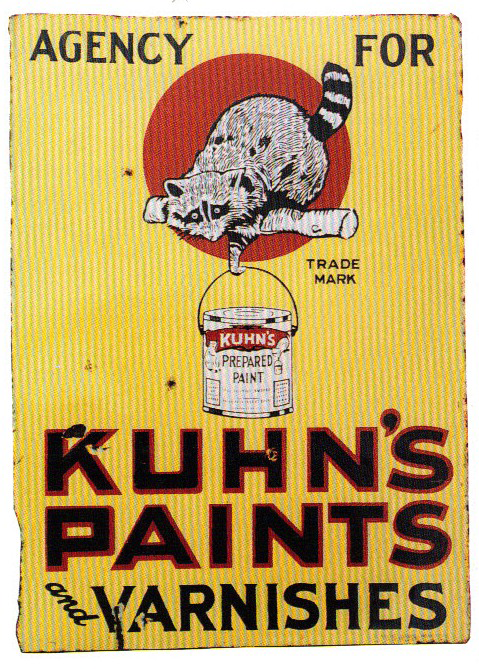 It reads, “Agency for Kuhn’s Paints and Varnishes, Trade Mark” and features a raccoon holding a can of Kuhn’s Prepared Paint against a setting sun.